Nope, you aren’t looking at a weird decorative light bulb-shaped sculpture. 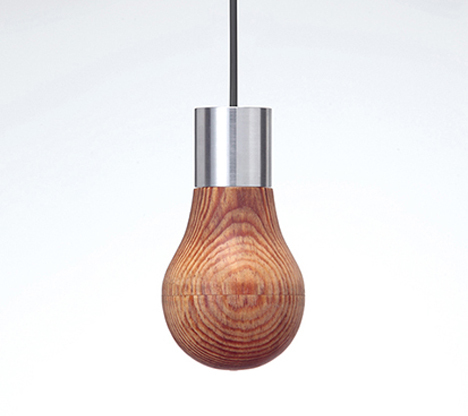 The Wooden Light by designer Ryosuke Fukusada is a functional light bulb that looks just like a solid piece of wood. 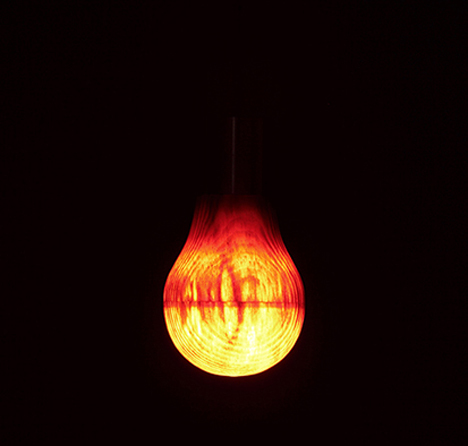 Fukusada created the light bulb in collaboration with German light bulb maker LEDON. The illusion was invented by creating an exceptionally thin – 1/10th of one inch – bulb shaped casing of wood veneer. An LED is fitted inside to illuminate the illusory mini-lampshade. When the light is turned off, the bulb looks just like a solid piece of wood hanging from a cord – perhaps a piece of minimalist art or funky decor. 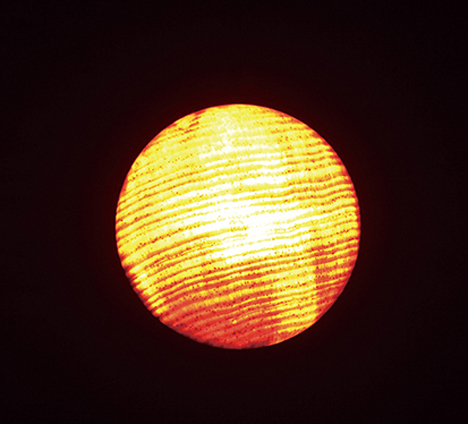 But when it is turned on, the light shines through the rings, swirls, and natural shapes of the wood grain. The lovely light looks red as it makes its way through the pine covering. 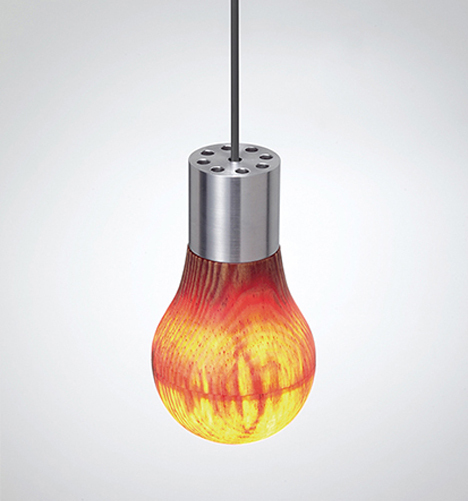 It isn’t as bright as a normal light bulb; the designer likens it to holding a flashlight in your hand. But its unique look and lovely ambient light would let it fit in perfectly in any room. See more in Home & Personal or under Gadgets. August, 2014.